Is it payroll day already? It's come up quickly, or so it seems to Macro Man. Expectations have been marked down on the basis of Wednesday's ADP report; while the Bloomberg consensus looks for 100k, the street price is probably more like 85k. Macro Man has taken 137 in the office pool. While many seem to think that this is an unusually important data release, Macro Man takes the opposite view: the Fed will do what it wants to do on September 18o, regardless of how today's figures pan out. Yesterday's central bank meeting fest played out more or less in line with Macro Man's expectations. The BOE offered some explanatory guidance while leaving rates unchanged, which some have interpreted as suggesting a rate cut next month. While Macro Man reckons that the BOE probably should cut, he thinks it highly doubtful indeed that they do. Anakin Skywalker: Ben Bernanke. Has the power to do great good, but also the power to do great harm. No one much likes his boss. 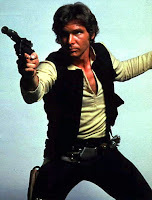 Han Solo: Jean-Claude Trichet. Pretty effective, but very, very cocky. 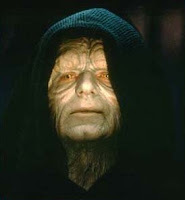 The Emperor: Alan Greenspan. At one point he was all-powerful, but now he's old, decrepit, and past his sell-by date. 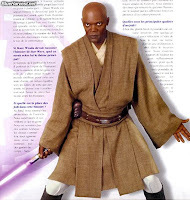 Mace Windu: Toshihiko Fukui. Wants and tries to do the right thing, but is ultimately defeated. Yoda: Paul Volcker. The old master who occasionally weighs in with sage advice and dire warnings. The Trade Federation: SAFE. They resort to extremes to increase their foreign trade. 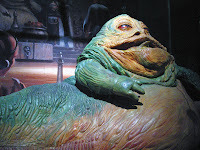 Jabba the Hutt: CDO, Hedge, and private equity managers. Disgustingly rich and utterly unsympathetic. 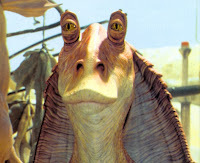 Jar Jar Binks: Jim Cramer. Everytime he appears on screen, you want to cringe. Clones the thousands of copycat "Hedge Funds"
Impressive but doomed to be canon fodder. Asset Allocators: Wookies who will rip you arm off if you try to get in the way of a switch from stocks to bonds. MM nice post. Who are you rooting for in the rugby? Nice one, Manc trader! I particularly like the 'clones' analogy. As for the RWC, I am hoping the hand of BOD lifts Ireland to a slightly unlikely but not altogether undeserved victory. Won major battles in his day against the dark forces, went on to train many young knights who made their own marks in the world. Has now slipped back to being an ephemeral voice whispering philosphic and philanthropic words to those that that can still feel the force. manc trader: go Argentina go!!!! pretty funny. ive met jim cramer a couple times and as much as i think he is a great guy, i also cringe when i see him on tv. Ian, see the follow-up post. Prophets, I've never met him but have subscribed to TSCM for more than a decade. I do think he has value to add, but not by being a buffoon. R2D2: Calculated Risk, "beepdeesquawk bonkbeep"
C3PO: Nouriel Roubini, "Did you hear that? They've shut down the main reactor! We're doomed." General Veers: Merrill "margin call" Lynch. "My lord, I've reached the main power generators. The shield will be down in moments, you may start your landing." "Evacuate? In our moment of triumph? Surely you overestimate their chances!" 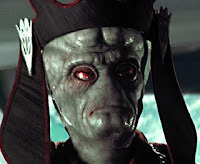 Padme Amidala: Maria Bartiromo. Big hair, otherwise completely useless.